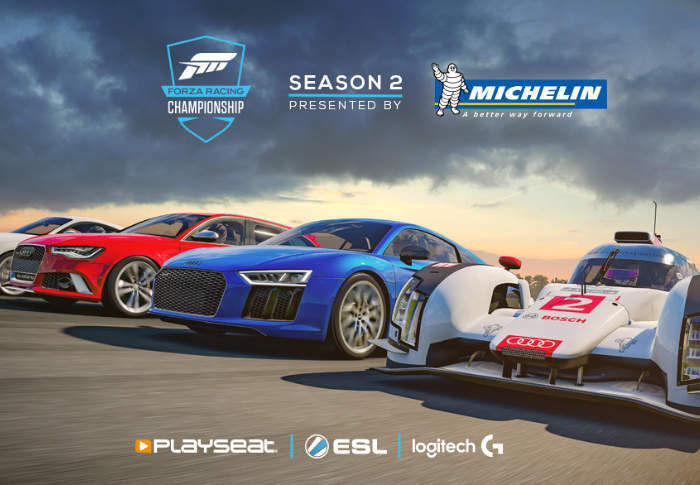 Xbox revealed the new details of the upcoming Forza Racing Championship Season 2, Registration is now open on the ESL website for Season 2 of the official #ForzaRC esports series, which has been sponsored by Michelin, Logitech G and Playseat. Check out the announcement trailer below, cash prizes worth more than $150,000. Season 2 will bring players of all skill levels together to experience state-of-the-art racing and fun competition through two unique race series. For the first time in the ForzaRC series history, the events will take place across two Forza games – Forza Horizon 3 and Forza Motorsport 6. Building on the success of the inaugural season of Forza Racing Championship, Season 2 will bring players of all skill levels together to experience state-of-the-art racing and fun competition through two unique race series. In the Elite Series, the fastest drivers in the world compete in Forza Motorsport 6 to claim both the title as the Season 2 champion and a $10,000 cash prize for the top overall winner. Building on Season 1, the Elite Series in Season 2 will offer more ways to win over 100 cash prizes. The Elite Series is comprised of three weeks of racing competition, culminating in weekly Elite Series Showdown races that will be broadcast on Sunday of each competitive week beginning November 13. Players can watch the Semi-Finals races hosted by ESL and streaming live on the official Forza Motorsport Twitch and Beam channels. Four winners from Season 1 will be invited directly into the Season 2 Grand Finals Roster, having qualified by winning their weekly Elite Series Showdown or the Grand Finals: Laige, Shadest, BAM ASIX 13, JSR Razer JDM.